Justin put an arm around his wife's shoulders. "I told you she would by a perfect addition to our community." Truthfully, he's never said anything of the type, but she'd known he was thinking it. Carly pushed her chair back. "Pearl, if you're going to stay - at least for a while until you see if it's what you're looking for - I'll take you to a house you can use." Pearl opened her mouth to say something and Carly held up a hand. "Just for tonight. You don't have to decide right now if you're going to stay or not." Pearl hesitated just a moment but nodded. They stepped through the screen door out into the warm, humid night. Sam followed, his nails clicking on the sidewalk. His ears were erect, swiveling as he scanned the darkness for threats. Carly patted him to try to reassure him, but Sam was as paranoid as Justin these days. "Let me ask you something," Pearl said. "Why do you want me to stay? I'm sure you don't have a shortage of people asking to come in." Carly fell into an easy pave beside her. "We need good people. We don't need dependents. We need the dependable. We're trying to choose stones." 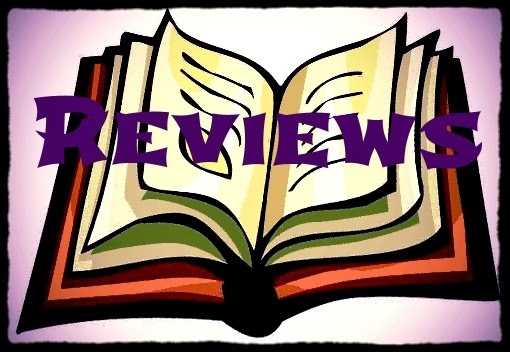 If you haven't read book 1 The End of All Things (read my review) then I suggest proceeding with caution as this review will be a bit spoilerish. The Land of Shadow picks up right where The End of All Things ended. As you can tell from the above excerpt from page 56, Carly and Justin are trying to establish a community. A community that they had practically wiped out by being carries of the Infection. But Carly dreams of re-establishing America, only making it better this time around. Justin is so smitten with Carly that he will do everything in his power to make her dream come true, though he doesn't believe that things can ever go back to the way they were. If you read my review on Tuesday, you know how much I loved The End of All Things. I still loved Bryan's writing and storytelling, but I did not find this book as satisfying. It felt like it meandered a bit too much, like Bryan wasn't exactly sure what the plot was for this book. Perhaps it is because it was written to be a stand alone novel. But I think the story could have been tighter had she either focused on the community being built and the internal conflict that is inherit to birthing a community. Or focused on the the external factors that are threatening their community. I would have preferred the former. Even with the "where is this book going" feeling, I still enjoyed it because I really liked the characters. 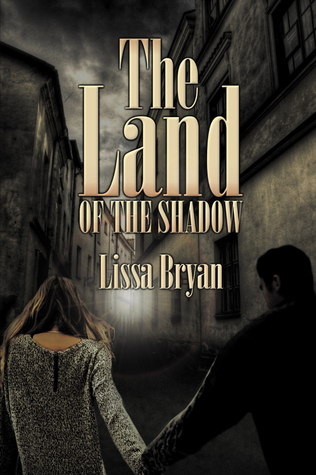 Unlike the first book where it was mostly just Carly and Justin with the occasional encounters with individuals or small groups, The Land of Shadow has a number of characters living in a small fortified community. And I enjoyed the varied personalities and fully formed characters. I did feel that parts of the story was missing. Such as how did they find the preacher and his wife? We learned in The End of All Things that they had found the fortified community before Carly and Justin arrived and had been turned away. As a book as part of a series, it is well worth the read. 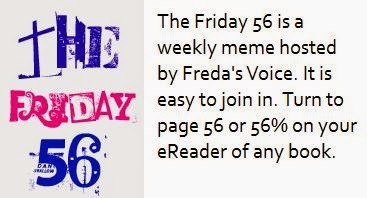 It is also a quick read. I'm not sure if I would have picked it up had I already not been acquainted with Carly and Justin I would have picked up The Land of Shadow. As there is still a bit of a wait until the next book comes out then I recommend picking it up along with The End of All Things so that you will be ready for the release of Shadows Have Gone next week. Your excerpt made me curious about the community and its inhabitants. Why are they banding together? Guess I'd better read The End of All Things first! This one does sound very intriguing....and I do want to know more. Thanks for sharing...and for visiting my blog. I'm guessing from the 56 that Sam is a dog? Looks like an interesting read. Thanks for sharing!